In Sunday National Assembly elections, Chavismo suffered a humbling defeat – short of disaster. Democratic Unity Roundtable (MUD) fell short of their goal. 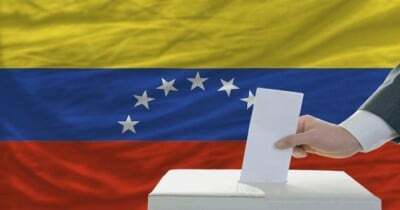 On its web site, Venezuela’s National Electoral Council (CNE) said MUD won 107 seats to the ruling socialist coalition Great Patriotic Pole’s (GPP) 55 – a 64.07% to 32.93 majority. Indigenous seats comprise another 1.80% of the 167 legislative body, its representatives elected solely by members of their communities. Results for two remaining seats remain unreported as this is written – likely too close to call so perhaps recounts are being conducted before winning candidates are announced. A super-majority 112 or more seats would let MUD dismiss Supreme Court judges and enact constitutional changes, ending or greatly compromising social justice provisions. In August 2004, Hugo Chavez overwhelmingly won an opposition called recall election with a 59% majority. He was extremely popular throughout his tenure. Maduro is vulnerable to recall with an approval rating in the 20 – 25% range. It’s crucial to defend the revolution. “(T)he Venezuelan right wing has just one program” – destroying 16 years of social justice progress, replacing it with neoliberal harshness, Maduro explained. “Unity should be the main aim. Nobody should be confused by an adverse situation.” He stressed the importance of drafting a “central document for the Bolivarian revolution,” including creating a National Assembly commission to defend hard-won social gains. On national television, he stressed “(t)his oligarchy will never represent” Bolivarian fairness, what most Venezuelans support. Sunday elections showed popular discontent about hard economic times above all other issues. Venezuelans are suffering under severe recessionary conditions combined with high inflation and shortages of basic commodities. The elections also displayed why Venezuela has the world’s most vibrant democracy, even recognized by MUD candidates. Sunday’s open, free and fair process was conducted smoothly and efficiently with no significant disruptions. Polls were open as long as voters remained in line. What happens going forward is crucial. Chavismo suffered its first major defeat. Social justice gains achieved since 1999 years are crucial to preserve. Defending the revolution is top priority.